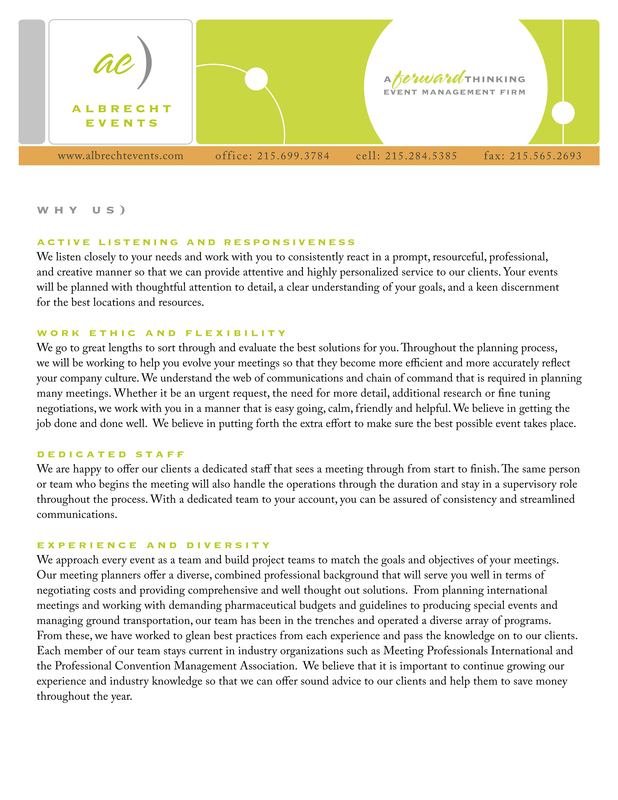 Albrecht Events specializes in corporate event planning and Philadelphia area destination management services. We produce quality events at a reasonable cost and work to achieve business objectives. Our services: transportation management, decor, site-selection, entertainment, teambuilding, and special events. Ask how we can help you to green your meeting in Philadelphia! Albrecht Events specializes in top notch planning and coordination services including destination management, meeting planning, teambuilding, special events and transportation. Exceptional customer service – seamless implementation.